The Lymphatic System consists of a network of vessels, nodes, lymph fluid and organs that helps control fluid balance, rid our bodies of wastes, filter toxins, as well as transport and absorb fats and fat-soluble vitamins. Your lymphatic system is a vital part of your immune system. It produces and distributes critical disease-fighting cells called lymphocytes and macrophages. If your lymphatic circulation slows or stagnates, toxins begin to accumulate and immune cells cannot travel efficiently to the areas of the body where they are needed, weakening the body’s ability to fight infection, inflammation and disease. The lymphatic system isn’t lucky enough to have a powerful organ like the heart to keep fluid flowing. It must rely on our muscle movements as its pump. The Lymphatic system is also unique in that lymph fluid flows in only 1 direction – towards the heart. By supporting your lymphatic system, you boost your immune system, remove toxins, transport vital nutrients and help maintain a healthy body. Here are 10 ways to improve your Lymphatic Health! Exercise may possibly be one of the simplest and most effective ways for you to promote lymphatic health. Exercising increases the oxygen supply to tissues and cells and stimulates blood and lymph circulation. When the body does not regularly move, it can cause weight gain, digestive issues and impede immune functions. Swimming, dancing, stretching and climbing stairs are among a few of the many exercises that will stimulate lymph flow. Practicing Yoga is another great exercise. Yoga poses are designed to improve flexibility, build muscle strength, boost energy and vitality, and enhance lung function through deep breathing. Deep breathing enhances the depth of the stretch, relaxes the body, calms the mind and stimulates lymph flow. You can also incorporate yoga poses that stretch the hips and target the groin area which contains a major concentration of lymph nodes. Walking is an accessible exercise that nearly everyone can fit into their day. If you don’t have the opportunity to walk around outside, take occasional breaks to simply walk in place. Just get moving and perspire! Perspiration is one of the ways our body eliminates toxins. Getting regular massages is crucial, especially to those who are unable to exercise. Lymphatic Drainage Massage is a special type of massage that incorporates a light, rhythmic stroke to encourage the natural flow and drainage of lymph throughout the body. Applying LymphoCare® during a massage provides the added benefit of a select blend of nutrient-rich oils and anti-inflammatory botanicals to nourish tissues and relieve swelling. 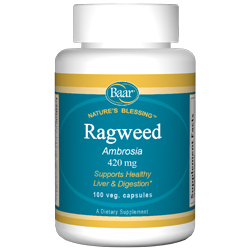 It supports the body’s ability to detoxify and cleanse. Remember to massage towards the heart! Eat healthfully by incorporating raw foods like fruits and vegetables. 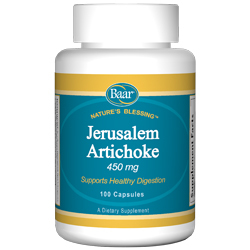 They offer high levels of antioxidants and naturally occurring enzymes that protect and nourish the cells of the body, adding powerful support to the immune and lymphatic systems. Raw foods are primarily alkaline, which helps neutralize harmful pathogens, lessening the burden on the lymphatic system. The lymphatic system is mainly composed of water and must be hydrated to function at its highest level. Drinking purified or spring water or water with antioxidant extracts such as lemon water is an excellent detoxification strategy to flush toxins from the body. Sipping warm water every morning with a squeeze of fresh lemon can help to alkalize the body and stimulate the lymphatic system, relieving congestion, bloating, tiredness, stiffness and even skin break-outs. Enzymes are utilized by the body to clear toxic-waste buildup in the lymph and blood, making their supplementation a key way to improve lymphatic health. If the enzymes in the body are insufficient, the nutrients from food may pass through the digestive system without being fully digested. 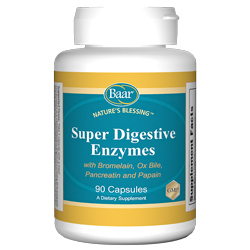 Super Enzymes are a comprehensive blend of enzymes that break down fats, proteins and carbs to support healthy digestive functions. Herbs are a great resource for aiding the body to cleanse and detoxify. Many herbs have been researched for their ability to improve lymphatic flow and drainage and to enhance liver functions. Ojibwa Tea is a blend of herbs historically used to boost the body’s ability to meet serious immune challenges. 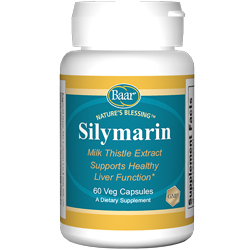 Milk Thistle has strong antioxidant properties that protect the liver, gallbladder and kidneys. It supports the body’s natural detoxification pathways to optimize health. Goldenseal has been traditionally administered to reduce inflammation and boost the body’s immune response. Dry brushing involves using a natural bristle, moderately stiff brush with a long handle to reach all areas of the body. Gently brush over the skin towards the heart. This technique boosts lymph flow by stimulating circulation, clearing clogged pores, reducing muscle tension and exfoliating dead skin cells. Chronic stress has negative effects on all of the body systems, including the Lymphatic system. Try meditating, listening to relaxing music, reading an inspirational book, enrolling in an art class, enjoying a massage or walking in the fresh air. Cayce advises: “budget the time so that there may be a regular period for sustaining the physical being and also for sustaining the mental and spiritual being.” Unplug and unwind at the end of a long day, your lymph nodes will thank you. Lymph nodes are highly concentrated around the chest region to drain fluid from breasts, arms, and the chest. So avoid underwire bras to prevent any unnecessary restriction on lymphatic vessels. If a bra is too tight, or if the underwire is too restrictive, the lymph is constricted, preventing normal drainage and may cause impairment of lymph flow. Empower your body, mind and spirit! This entry was posted in Immune System on September 9, 2016 by Dr. Bruce Baar. Fruits and vegetables are loaded with phytochemicals, “phyto-” meaning plant, which are essentially supercharged immune-boosting vitamins and minerals. Your body will be stronger, healthier and less susceptible to bacteria and viruses. Having trouble getting enough servings of fruits and veggies each day? Try juicing. This is an easy and tasty way to get your necessary vitamins from plants with the added bonus of getting a serving of water as well. 2. Avoid Excessive Alcohol and Sweets. When alcohol, starchy carbohydrates, and sweets make their way through the digestive tract, they produce acid in the body throwing off the pH balance. An overly acidic body can result in a suppressed immune system. This can break down your body’s resistance to the cold and flu virus. Germs can last for hours on surfaces that have come in contact with someone who is sick. Items that you touch every day such as, keyboards, shopping carts, elevator buttons, gym equipment, gas pumps, writing utensils, restaurant condiments, eating utensils and more can harbor bacteria long after a sick person has used them. Every sneeze or cough releases small droplets of bacteria-filled fluid that can land on these commonly-used surfaces. Wash your hands often, especially before cooking, eating, or touching your face. If you are not near a sink, make sure to use a hand sanitizer with at least 60% alcohol content. It is also important to clean and disinfect frequently used surfaces at home, work or school. 4. Drink Plenty of Water Each Day. Every day you lose water through your breath, perspiration, urine and bowel movements. Keep it replenished; your body is approximately 65% water. Water is necessary for your body to function properly, stay hydrated and flush out toxins. It is recommended that the average person consume 6 to 8 glasses of water per day. 5. Get Plenty of Rest and Avoid Stress and Anger. Studies indicate that avoiding stress and anger helps you to avoid getting run down. This in turn can protect you from catching a cold or the flu. Try taking the time to meditate or practice your breathing exercises. A massage can help improve the lymphatic circulation in the body and reduce stress. Your lymphatic system is a vital part of your immune system. Your lymph nodes contain white blood cells which aid in trapping, attacking and destroying bacteria and other microbes which are picked up by the lymphatic fluid. Massages not only help boost the immune system, they also promote a general sense of well-being. Physical exercise helps fuel the body and enhance immune function. If you are already feeling sick and want to exercise, the rule is that if the sickness is above the neck (i.e. stuffy nose, congestion, etc), light exercise is okay. If you have a fever and body aches, take the day off and rest. 8. Supplement with Vitamin C.
Vitamin C helps protect the body’s cells from damage by free radicals. Many plants and animals do not need to consume foods high in ascorbic acid to meet their need for Vitamin C because they are genetically programmed to produce enzymes that convert glucose into ascorbic acid. Unfortunately humans have only 3 of the 4 enzymes necessary for internal production of ascorbic acid, therefore we must satisfy our physical needs for this important vitamin through our intake of foods rich in Vitamin C and/or take a good supplement. 9. Supplement with Vitamin D3. It is known as the “Sunshine Vitamin” because it is produced by the body during exposure to the sun’s ultraviolet rays (UVB). As the weather gets colder, sun exposure becomes limited. 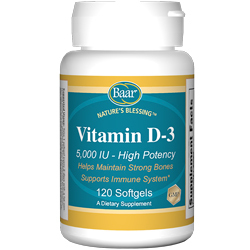 Vitamin D3 helps boost the immune system and is vital for overall health. This vitamin is essential for the body to function properly. 10. Carry a Cold Coin in your Pocket. The Cold Coin, carried in the front pocket, is essential for reinforcing the body during cold and allergy season. The front pocket is right by the groin, which is a major lymphatic area. 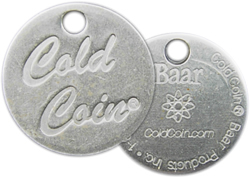 Made of a specialized carbon steel, the Cold Coin works by ionizing the body, making it more resistant to colds and congestion. This entry was posted in Anxiety, Stress, and Sleep, Immune System on October 8, 2015 by Dr. Bruce Baar.